Every single day, optical sorting proves its worth for onion sorters in the US. That is why Eddie Rodriguez of Partners Produce did not hesitate before choosing an optical onion sorting machine. 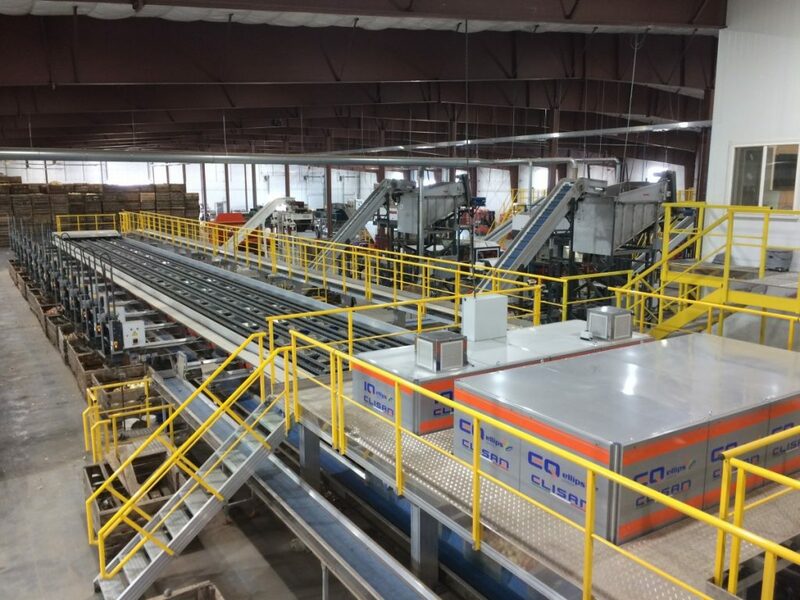 Starting this summer, a fully automated packing station has been running in Idaho, with a Ellips – Elisam sorting machine. A blizzard forced Rodriguez to rebuild his onion packing station from the ground up in January 2017. 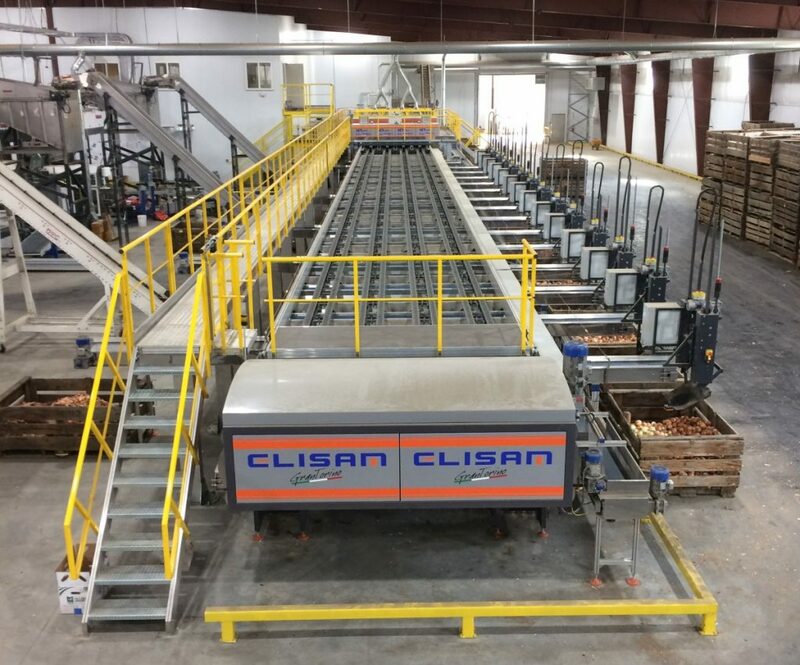 The new automated line, which detects both internal and external defects, has been supplied by Wyma, Ellips – Elisam, Volm and Verbruggen, with the capacity to process 80 tons of onions per hour. The packer is delighted with the new line, being able to change settings via his iPhone or iPad. Instead of the 50 employees needed on the previous line, there are now only 20 employees on hand, while the sorting capacity has increased enormously because the line keeps going 24 hours a day, 365 days a year. Erwin Bakker of Ellips expects many other packers to switch over to optical sorters in the coming years. “This is the future of onion sorting. Retailers now know that this technology is around and they are going to require from their suppliers to have the produce checked internally. Our big advantage is that besides the completely new lines we create, our software is also suitable for existing machines. Our TrueSort software runs on every sorting machine, of every make,” says Erwin. As one of the few, Ellips uses the ‘transmittance’ method, whereby a complete product is scanned, not just a part of it. Aspects like rot, but also sugar content, dry matter, acidity and maturity can be accurately determined. In addition to the onions, this supplier of optical sorting technology also uses its software for apples, citrus, cherries, dates, kiwis, blueberries, pears, asparagus and potatoes. Together with its subsidiary Elisam, Ellips recently acquired the JDC sales activities in the onion industry. Ellips has a service and sales point in Italy, Spain and the Netherlands. In the US, Ellipse USA is represented both in the East and in the West. In many other countries Ellipse – Elisam works with local representatives. “By working with local service teams, our customers are always assured of good support for their sorting processes, at any time and any place,” concludes Erwin.